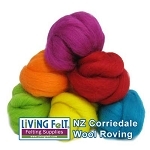 100% Wool FELTING FIBER- These lovely merino cross felting wool batts lay out fast and felt fast. 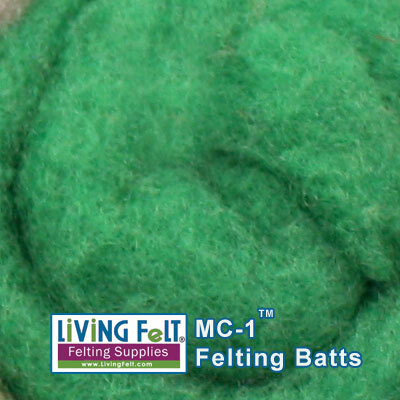 Perfect for needle felting and wet felting. Most wool colors have a slightly "heathered" or “variegated” look which adds depth and interest to your felting and needle felting projects. 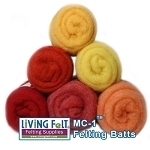 A one pound batt of the MC-1™ is approximatey 36" x 45", thick and lofty. These batts are gorgeous in color and uniform in texture. 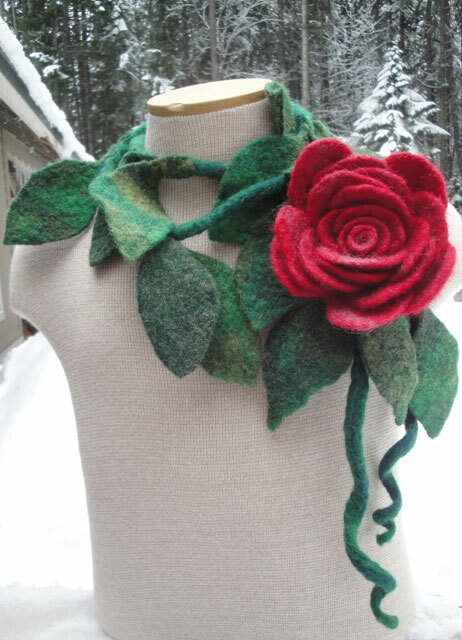 They needle felt beautifully and will make a nice felt that is sturdy and strong. *Sourced and Made in the U.S.A. The wool in our MC-1™ Batts are from sheep raised on U.S. Farms, supporting the American farmer. 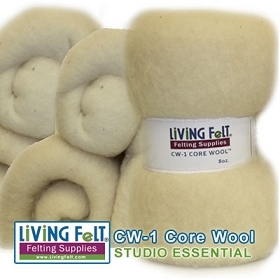 BIO-PROCESSED: This Living Felt wool was processed and washed using a bio-degradable Eco-Friendly GREEN soap and green process. NO harsh chemicals are used, and the wool is not carbonized . Small amounts of vegetable matter in the wool is common and to be expected.